OK, another small drop – this time the all-new Mk.IV that folks have been asking about. 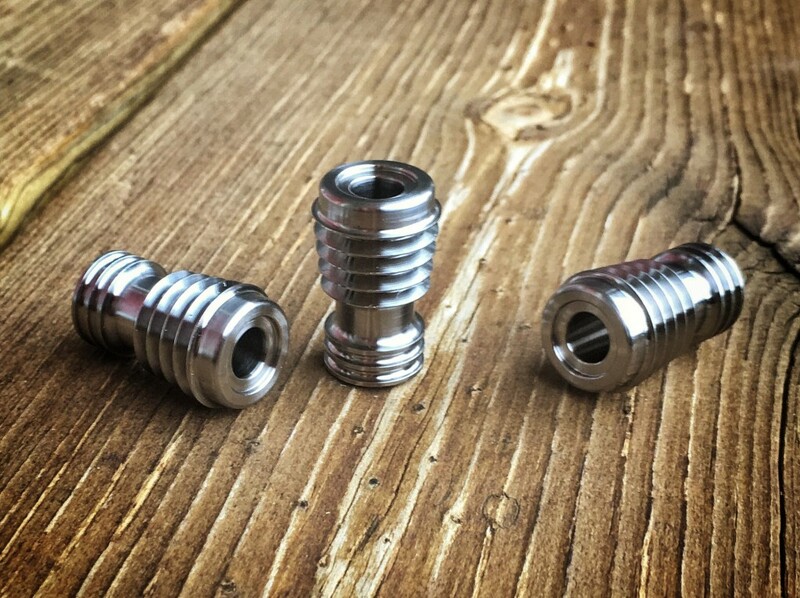 These Mk.IV Ray Gun beads are in their “raw” as-machined finish in Titanium. These have NOT been tumbled or blasted, so their edges are a little sharper than I’d normally offer. Since these have a grooved base, they are actually pretty nice overall but note that I will not be offering refund/exchange on these, they are being sold as-is. This finish is perfect for folks who like to modify or finish the beads on their own, or just prefer that shiny straight-off-the-machine look.